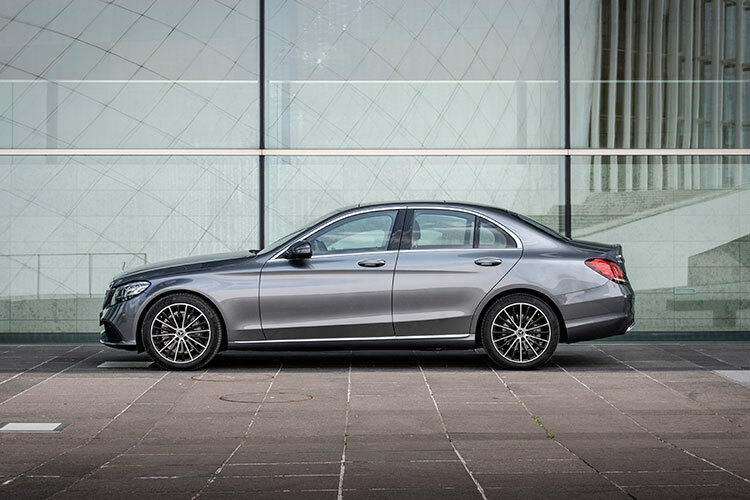 The new Mercedes-Benz C-Class has 6500 new components. Another fact revealed by the German carmaker at the international media test drive in the scenic Moselle Valley in Germany: It’s the most extensive update in the history of the model, with over half the components being new. There were no less than 11 variants available at the event including the coupe, cabriolet and estate. However, it was the C200 Exclusive saloon that was the most interesting as it’s a mild hybrid. 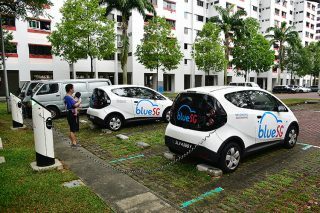 When it reaches Singapore at year’s end, it will probably be the most popular variant. 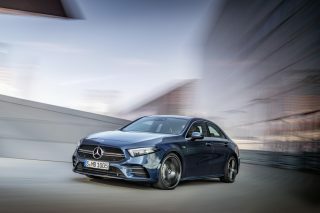 Propelled by an entirely new engine, Mercedes-Benz has taken the downsizing route which is favoured by many brands, but the good news is that the car’s performance has not been “downsized” much. Codenamed M 264, the turbocharged 1.5-litre 4-cylinder powerplant is complemented by an intelligent system comprising a belt-driven starter alternator that is connected to the engine and a potent 48-volt battery located in the boot. 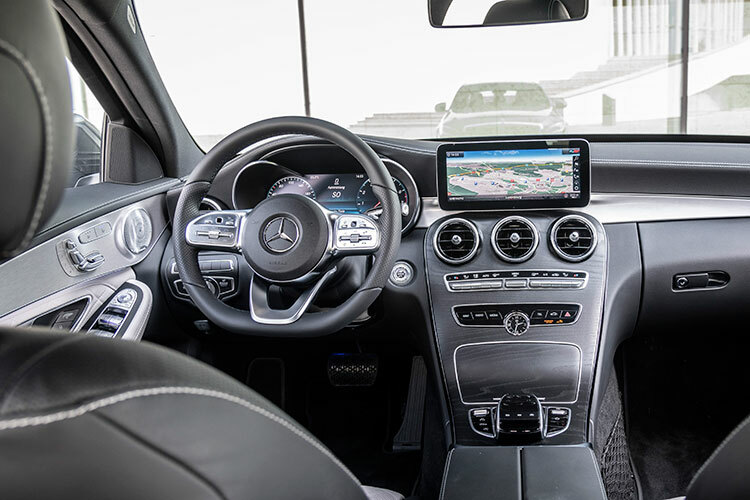 The C200’s cockpit features a new steering wheel and digital instrument cluster. 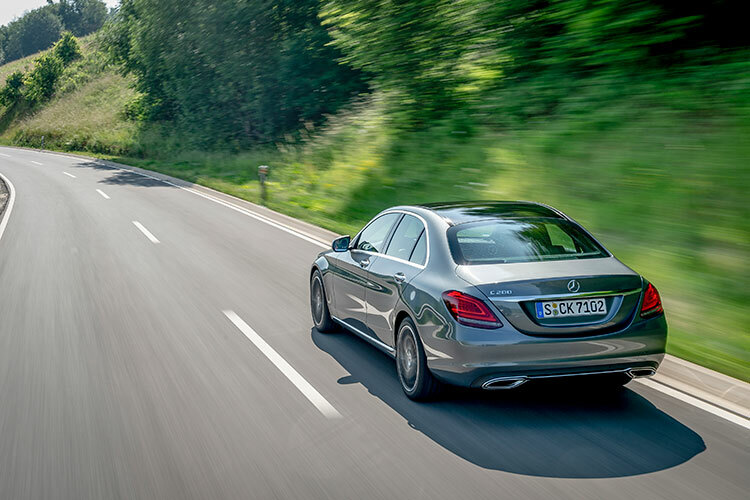 This makes the C200 a mild hybrid as the system, named EQ Boost, cannot propel the car on electric power alone. However, it’s able to provide an additional 14hp (maximum) during acceleration. In doing so, the gap before the turbocharger reaches full boost pressure is eliminated. Like all hybrids, the system is also able to recuperate the energy produced during braking – over 80 percent in fact, which is then stored in the battery. Throughout the 189km-long drive, which featured a good mix of autobahns and hilly B-roads, it didn’t matter which one of the modes from the Dynamic Select feature (Eco, Comfort, Sport, Sport Plus or Individual) was selected. EQ Boost worked smoothly and quietly. The only indication whether boosting or recuperation was occurring was an arced LED indicator at the bottom of the tachometer with the words “Power” and “Charge”. Other advantages include the gliding mode where the engine is switched off (thus no fuel is consumed) and the recuperative braking with intelligent engine stop when the car is coasting. These features play a significant role in helping the C200 saloon achieve a respectable fuel consumption figure of nearly 16km/L. The start/stop system operates particularly comfortably as the engine restarts almost silently, with low vibrations and very rapidly, thanks to the belt-driven starter alternator. 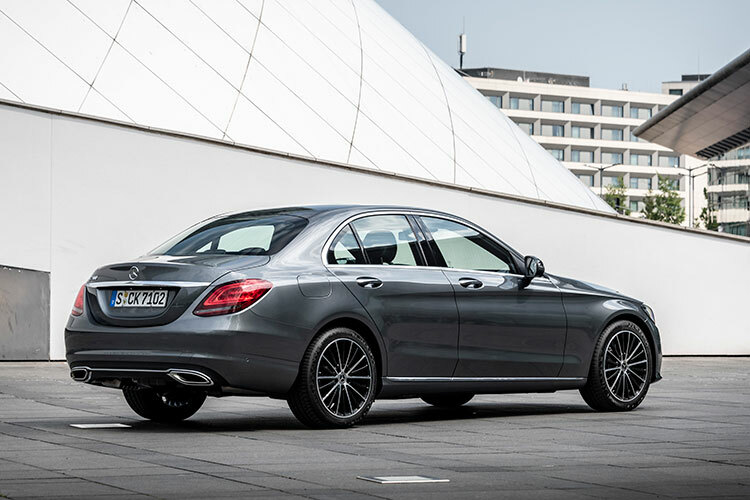 Compared to its predecessor, which is powered by a larger turbocharged powerplant with the same number of cylinders, the C200 saloon is slower in the century sprint by just 0.4 of a second (7.7 seconds against 7.3 seconds). However, if you love driving flat out, top speed is now 239km/h (up from 235km/h). 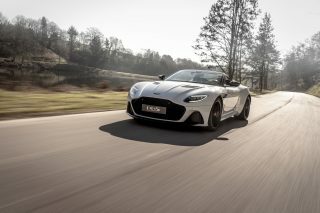 In Sport or Sport Plus mode, you will be pleasantly surprised at how quickly it moves, covering asphalt at a rate rather surprising for a 1.5-litre vehicle with a kerb weight of 1.5 tonnes. Turbo lag was non-existent and it easily kept up with traffic – even at speeds in excess of 200km/h. The engine does have a “minus” – its sound. 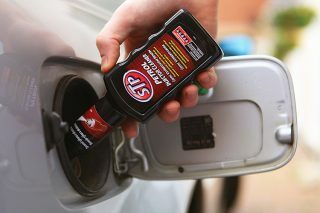 At idle and low revs, it chatters like a diesel and is really uninspiring. 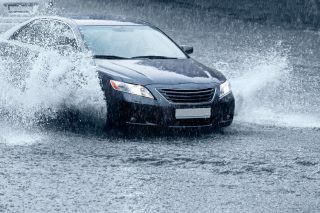 The silver lining is that it will pressure you into applying more… pressure on the loud pedal. 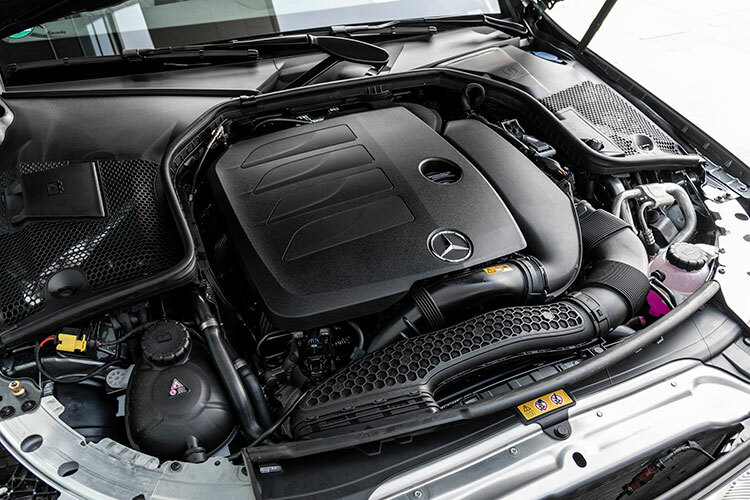 Mercedes-Benz C200 has a turbocharged 1.5-litre engine shines for its lack of turbo lag, but it strangely sounds like a diesel unit. 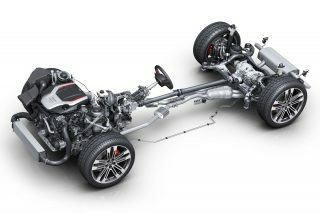 The new 9-speed automatic transmission does it part with direct and swift gearchanges and the computer does an excellent job of ensuring it was never “hunting” for gears, which can happen when piloting a car swiftly through a myriad of bends. Still, paddle shifters are available should you want to play racing driver. Equipped with an all-round multi-link suspension setup, the C200 saloon has good ride comfort and handles swoopy roads relatively well, even though it rolls quite a fair bit in the tighter stuff. 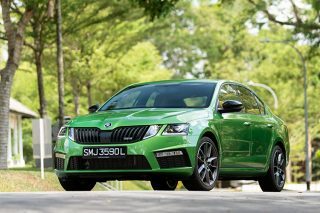 Grip from the 18-inch tyres is abundant unless you drive like a hooligan. There’s an unmistakable floaty feeling above 120km/h, but the car still tracks straight as an arrow. 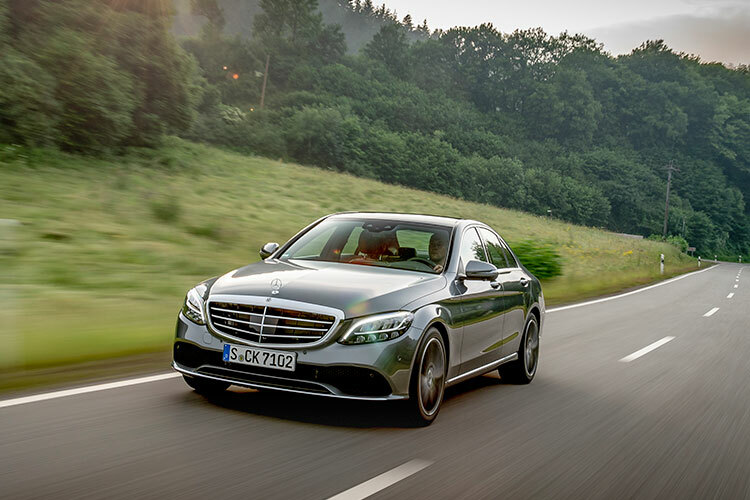 The exterior and interior have been updated and so have the Intelligent Drive assistance systems, which are now at the level of the S-Class and offer the driver route-based support. Active Distance Assist Distronic and Active Steer Assist provide even more support, keeping a safe distance and steering – the speed is cleverly adjusted ahead of bends, junctions and roundabouts. For the exterior, the most distinguishable changes are the front apron, headlights and taillights, tailpipes and rear insert for the diffuser. Multibeam LED headlights with Ultra Range are available as an option for the first time and these rapidly adjust the driving lights to prevailing traffic situations. From the driver’s seat, the new steering wheel and optional fully digital 12.3-inch HD driver’s instrument cluster take centre stage. The latter is the same one that was first used in the E-Class and allows you to select one of three display styles – Classic, Sport and Progressive. The steering wheel houses the integrated cruise control and Distronic functions so you can activate and adjust these features without having to take your hands off. Also fitted onto the steering wheel are touch-sensitive control buttons that can be used to access the instrument cluster and multimedia display located at the top-centre of the dashboard. Similar to a screen on a smartphone, said buttons respond to swiping actions and are really intuitive to use. Point to note: You might over-swipe and miss the icon or item that you want initially, as the buttons are really sensitive. One interesting feature to consider if you often find yourself stressed while driving is the Energising Comfort Control. 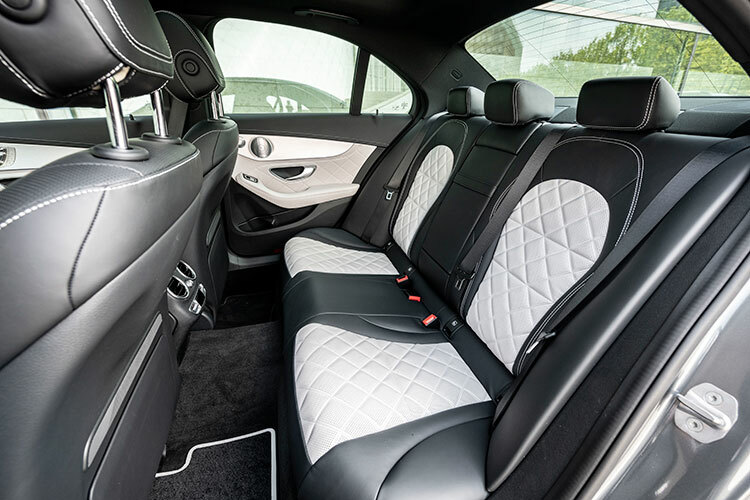 It combines climate control (including fragrance dispensing), seat (heat, ventilation, massage), lighting and musical mood (five songs are pre-stored in the programme) and configures them into six different wellness programmes with each one lasting 10 minutes when selected. Also available for the first time are real wood veneers, while Keyless-Go (keyless ignition) has a new, turbine-inspired start/stop button. The latest Mercedes-Benz C200 saloon sports numerous changes, but it’s the mild hybrid powertrain that is the most attention-grabbing. 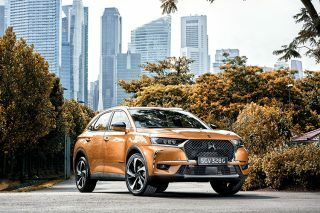 The engine is smaller yet as powerful as the 2-litre turbocharged unit it replaces and there’s additional “boost” from the belt-driven starter alternator and 48-volt onboard power supply. Drivers who value the latest in powertrain technology and who are attracted to the savings as a result of lower road tax payable will find the car very attractive when it arrives at the end of this year.